Canny pacing ensures that the symphony's second half brings a generous quotient of freshly-scrubbed detail allied to a most satisfying sweep and cumulative impact (the closing pages are indeed thrilling). 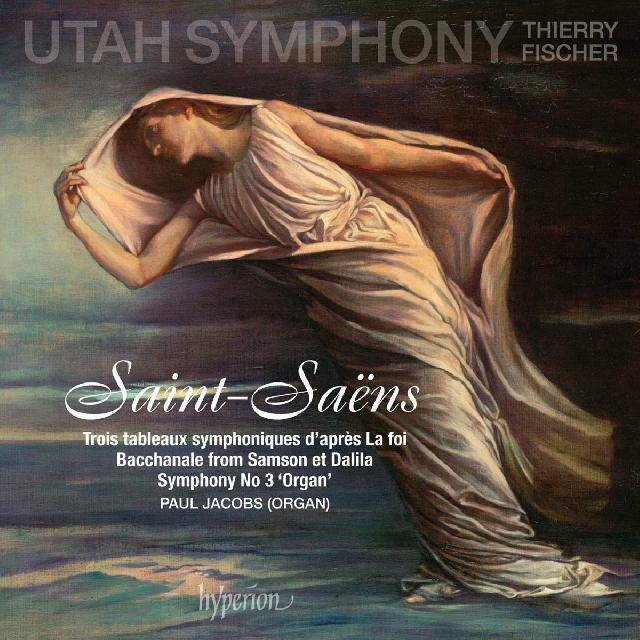 A first-rate Saint-Saëns compendium, splendiferously engineered and stylishly performed by the Utah Symphony under its Swiss music director Thierry Fischer. We kick off with a sizeable rarity, namely the three symphonic tableaux that Saint-Saëns extracted for the concert hall from his 1909 incidental music for Eugène Brieux's Egypt-based drama La foi ('Faith'). A most attractive, masterfully scored and at times agreeably spicy sequence it comprises, too, given here with composure and commitment to spare, and it's followed by a delectably spruce outing for the exuberant 'Bacchanale' from Samson et Dalila. Proceedings conclude with a genuinely impressive account of the Organ Symphony. Right from the outset, one cannot fail to be struck by the Utah orchestra's splendidly crisp ensemble and infectious application, and if Fischer chooses an unusually spacious tempo for the ensuing Poco adagio, such is the exquisite poise and rapt concentration on offer that one listens spellbound. Canny pacing ensures that the symphony's second half brings a generous quotient of freshly-scrubbed detail allied to a most satisfying sweep and cumulative impact (the closing pages are indeed thrilling). Paul Jacobs's organ contribution has been superbly integrated into the whole, and Roger Nichols supplies a characteristically erudite and succinct booklet-essay. Hugely enjoyable stuff, and very strongly recommended.